Brampton, ON /CNW/ - Medtronic of Canada Ltd., a subsidiary of Medtronic plc (NYSE: MDT), today announced it has received a licence from Health Canada for the MiniMed™ 670G system — the first insulin pump system in Canada that helps to stabilize glucose levels 24 hours a day by automatically adjusting basal insulin delivery based on real-time insulin needs.1 This new system allows people with type 1 diabetes to take greater control of their disease through increasing levels of automation that minimize exposure to both high and low blood glucose levels. "We are very pleased to bring the MiniMed 670G insulin pump system to Canada this fall," said Laura Cameron, senior director of the Diabetes Group at Medtronic Canada. "For more than 30 years Medtronic has been serving and supporting the Diabetes community. The long-standing collaboration and insights from many health care professionals and patient groups has contributed to this milestone in the evolution of insulin delivery — the world's first self-adjusting insulin pump system. We are grateful for the opportunity to provide this latest innovation in diabetes management to Canadians, and remain committed to helping make patient's lives a little easier." 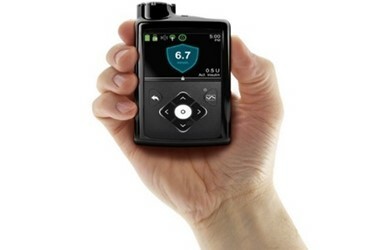 Data from the pivotal trial of the MiniMed 670G system published in the Journal of the American Medical Association(JAMA) demonstrated less glycemic variability and reduced A1C for patients on the system.5 Notably, real-world data presented on more than 2 million patient days at the American Diabetes Association conference in June 2018 showed an average Time in Range of 70.7 percent across all age groups for those using the system's most advanced SmartGuard algorithm. The results also showed reduced hypoglycemia and hyperglycemia, consistent with results from the pivotal trial. "The MiniMed 670G system with SmartGuard hybrid closed loop (HCL) algorithm is the first and only insulin pump system that constantly self-adjusts basal insulin. It answers many of the current challenges in managing type 1 diabetes by minimizing blood glucose variability and maximizing time in target range," says Robyn Houlden, MD, FRCPC, professor and chair, division of endocrinology at Queen's University, Kingston, Ontario, and chair of 2018 Diabetes Canada Clinical Practice Guidelines. "It will usher in a new era in diabetes management that empowers patients to confidently optimize their blood glucose control." About 300,0006 Canadians live with type 1 diabetes and could be eligible for this groundbreaking technology. Health Canada has licensed the system for use in people with type 1 diabetes seven years of age and older. Medtronic is expecting to begin commercial release of the MiniMed 670G system in Canada in fall 2018. Proud to celebrate 50 years in Canada in 2018, Medtronic Canada (www.medtronic.ca), headquartered in Brampton, Ontario, is a subsidiary of Medtronic plc, which is one of the world's largest medical technology, services, and solutions companies — alleviating pain, restoring health, and extending life for millions of people around the world. Medtronic employs more than 1,100 people in Canada, serving physicians, hospitals, and patients across the country. The company is focused on collaborating with stakeholders around the world to take healthcare Further, Together. 1 Iturralde E, et all. The Diabetes Educator. 2017; 43(2):223 - 232. 2 Christiansen M, et al. Diabetes Technol Ther. 2017; 19(9): 1-11. 3 Bergenstal, R. M. et al. Jama. 2016; 316 (16): 1407 - 1408. 4 Garg SK et al. Diabetes Technol Ther. 2017 Mar;19(3):155-163. 5 Bergenstal RM, Garg S, Weinzimer SA, et al. Safety of a hybrid closed-loop insulin delivery system in patients with type 1 diabetes. JAMA. Published on-line ahead of print September 15, 2016 at jama.com (Online First). 6 Canadian Diabetes Association. The prevalence and costs of diabetes. December 2009. SOURCE: Medtronic of Canada, Ltd.